After one of the biggest hypes we’ve seen in the blockchain world so far, and after raising mouth-watering USD 4 billion, the EOS blockchain is now officially live. Dubbed by some as the “Ethereum killer”, EOS went live on June 14, 6PM CET. However, it seems as the network was off to a (relatively) slow start. The project had a prerequisite before being able to go live, and that’s to have 15% of its total tokens, 150 million, to be staked in a vote. 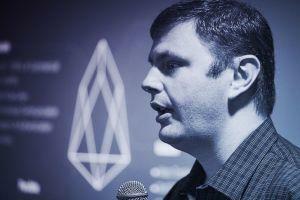 The vote’s goal was to elect block producers (EOS's equivalent of miners). 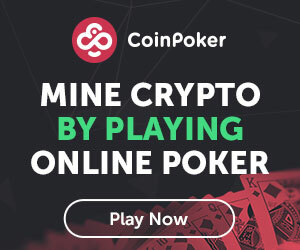 However, the company was unable to choose the appropriate block producers, and there was disagreement if the software should be launched at all, or not. The blockchain was technically launched six days ago, on June 9, but only now is it operational. Unlike Bitcoin, for example, where nodes are called ‘miners’ and lend their computing power to be able to add blocks to the chain, and get rewarded with digital coins - EOS works on a different principle. Instead, token holders get to vote who will produce the blocks which should, in theory, speed up the transaction process. However, not everyone is thrilled with the idea. Vitalik Buterin, co-founder of the competing platform Ethereum, believes this makes the system vulnerable to vote buying. The media were also quick to point to this fact, arguing that compromising decentralization for the sake of speed and efficiency is risky business. EOS, developed by Block.one, is a relatively new project in the blockchain space that aims to radically improve on what is on the market today. The platform will allow developers to build decentralized applications (dapps) through smart contracts. Such platforms already existed, but EOS promised to be a more scalable solution. Also, in the hours leading up to the EOS blockchain going live, security researchers were still finding vulnerabilities in the network. These were no silly bugs, but serious flaws that had the potential of compromising the entire network. A security researcher that goes by the name Guido Vranken found a bug that could essentially brick your computer. The flaw revolves around “unbounded recursion in Binaryen WASM parsing”. What that means is that if you’d try to compile to the web assembly using the Binaryen compiler, your computer would die on you. For the uninitiated, Vranken is a relatively popular bounty hunter, who has already won USD 120,000 finding bugs in the EOS network. According to TheNextWeb, Vranken isn’t sure if there are other bugs still in the system. However, as the HackerOne website shows bounties being paid out mere days ago.